In 1988 as part of the Bicentennial celebrations 2nd Base Workshop Battalion (2 Base ) was commissioned to manufacture a number of items for the Military Tattoo, which formed a significant part of those celebrations at the Sydney Entertainment Centre. At this time the then Commanding Officer LtCol Paul Hopper and RSM Warrant Officer Class One Phil Litler, decided that 2 Base should mark the occasion in some way. It was decided, in consultation with the unit members that a Time Capsule should be put together and buried. The sight for this was to be adjacent to the flagpole outside 2 Base HQ next to the Queen Elizabeth II garden and fish pond. For those past members the fish pond is well remembered as a meeting/ presentation place, a memorial to the late Ken Roughley and a cleaning task for misbehaving soldiers. Also a great place to reflect when waiting to see the Adjutant, the RSM or Tom The Barber. As development occurred the 2 Base HQ building was demolished, and the garden and fish pond were rebuilt at the current DNSDC HQ. (the garden and fish pond have again been rebuilt at the new JLU-E HQ) At the time of the 2 Base HQ demolition some diligent members of the Corps salvaged the Time Capsule. In due course it wasAt this time the then Commanding Officer LtCol Paul Hopper and RSM Warrant Officer Class One Phil Litler, decided that 2 Base should mark the occasion in some way. It was decided, in consultation with the unit members that a Time Capsule should be put together and buried. 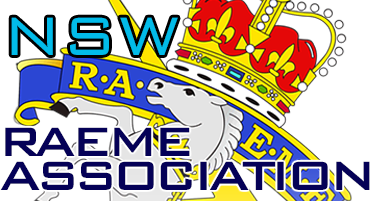 handed over to the NSW RAEME Association. The Committee decided the Time Capsule should be reinterred in the Memorial Gardens at Bandiana East outside the Logistics Museum and along side the Time Capsule from RAEME Training Centre (RTC)that was interred on RTC`s disbandment. After many hurdles and with the outstanding assistance of LtCol Jim Hislop Retd the Time Capsule was reinterred in May this year at Bandiana. The NSW RAEME Association committee in consultation with past and present members of the Corp must now set a date for opening of the Time Capsule. - Win Coles.